I’ve got a confession to make: I’m a bit of an Ian Schrager fan. While you may not be familiar with his name, you’ll certainly be familiar with his work; Schrager co-founded fabled New York nightspot Studio 54 and went on to open Palladium before establishing the Morgans Hotel Group. Regular readers and Twitter followers will know that I’m a bit of a MHG groupie, I’m always at Sanderson or St Martins Lane and I stay at Mondrian whenever I’m in LA. It’s safe to say that when I heard Schrager was teaming up with Marriott International on a new hotel chain with a London outpost, I waiting rather impatiently with baited breath. The London Edition is the second hotel opening from this collaboration, with a further 100 properties due to open across North America, South America, Europe and Asia. Located on Berners Street in Fitzrovia, the hotel is just up the road from Sanderson and short 5 minute stroll from where I live – dangerous as I find myself at the restaurant/bar Berners Tavern so frequently I’m surprised I don’t have my own seat! Schrager is said to have walked past the property countless times and always thought it would make a beautiful hotel. Housed across five Georgian townhouses, the London Edition is breath-taking and retains many of the original features of the properties, which were built in 1835. Design inspirations vary from gentlemen’s clubs and Parisian hideaways to Grand Central Station in New York, read: Belle Epoque meets Great Gatsby style opulence. 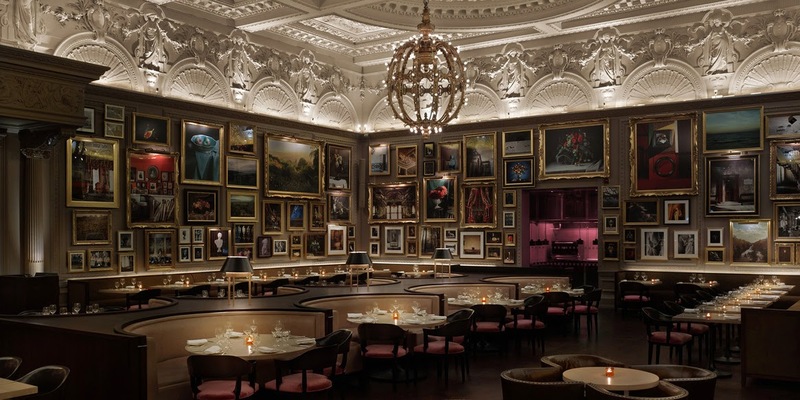 The restaurant, Berners Tavern, is just exquisite. Dominated by two huge chandeliers inspired by the ones hanging in Grand Central station, the room has impossibly high ceilings and an eclectic mix of paintings and photographs in ornate gold frames. This is where I spend most of my time, trialling the fantastic cocktails on the menu and people watching – there are always some interesting characters deep in conversation. I’ve yet to try Michelin-starred chef Jason Atherton’s British-inspired menu but the sliders at the bar are addictive. There’s also a cosy, wood panelled gentlemen’s club-esque cocktail bar called the Punch Room, which specialises in (you guessed it) punch cocktails for sharing. 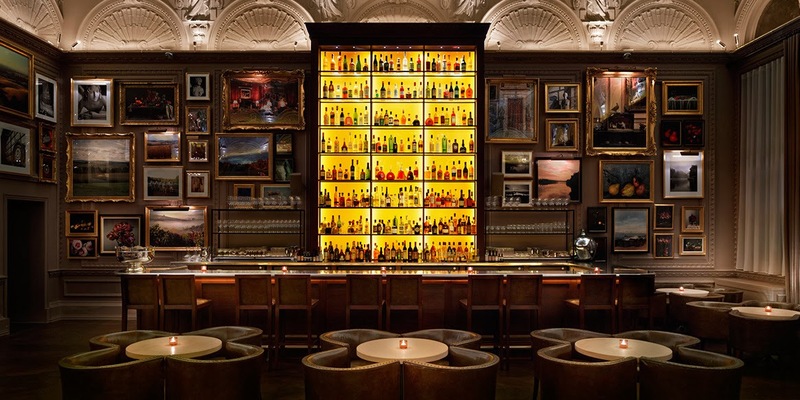 These images really don’t do Berners Tavern to London Edition justice; you need to head over and indulge in a cocktail (or 4) to really appreciate Schrager’s latest masterpiece. I am always popping in for a cheeky Prosecco. It's just opposite my office!